It don’t get much better than this. 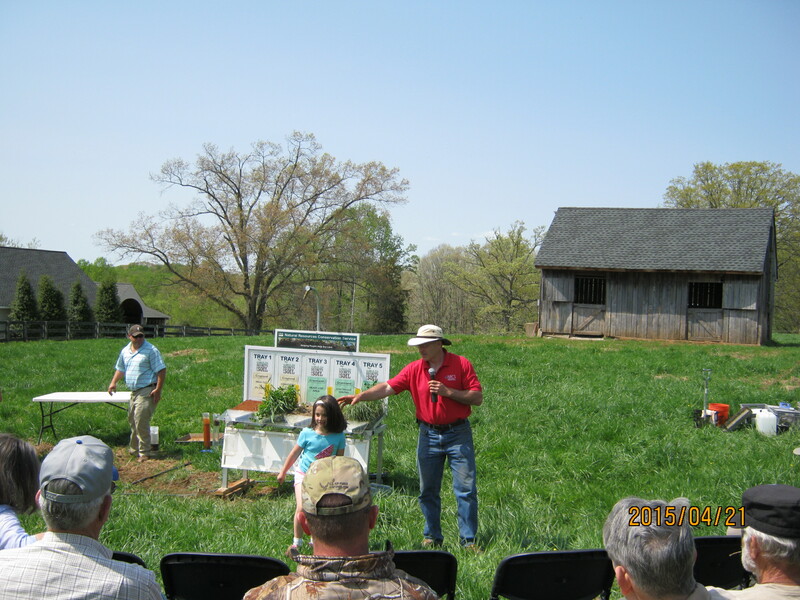 The Virginia Forage and Grassland Council, The Monacan Soil and Water Conservation District, Virginia NRCS, and local extension offices combined to put on a terrific field day, hosted at the farm of Ronnie Nuckols. The crowd of over 200 attendees was split into two groups and the entire program was put on twice, with the two groups alternating stations after lunch. 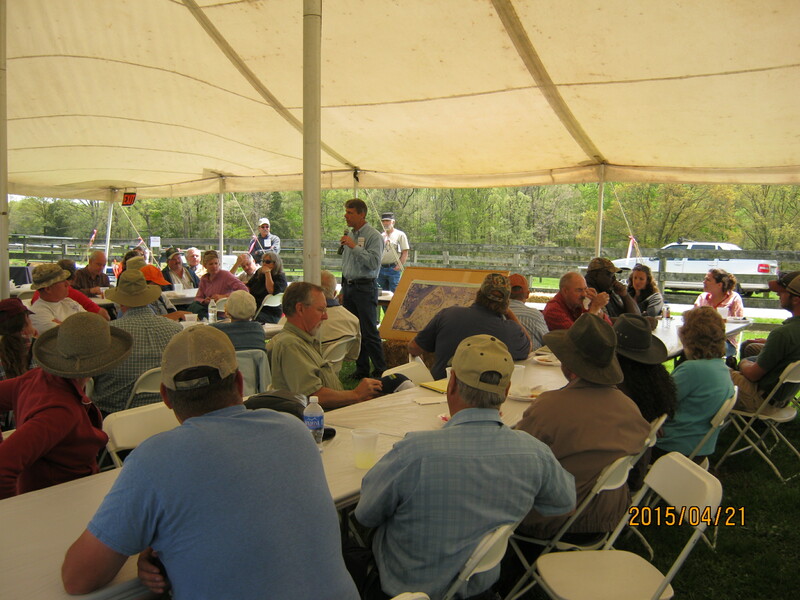 The theme was Using Forage Crops and Grazing Management to Build Soil Health and Extend the Grazing Season…. Examples of these management strategies were in abundance. 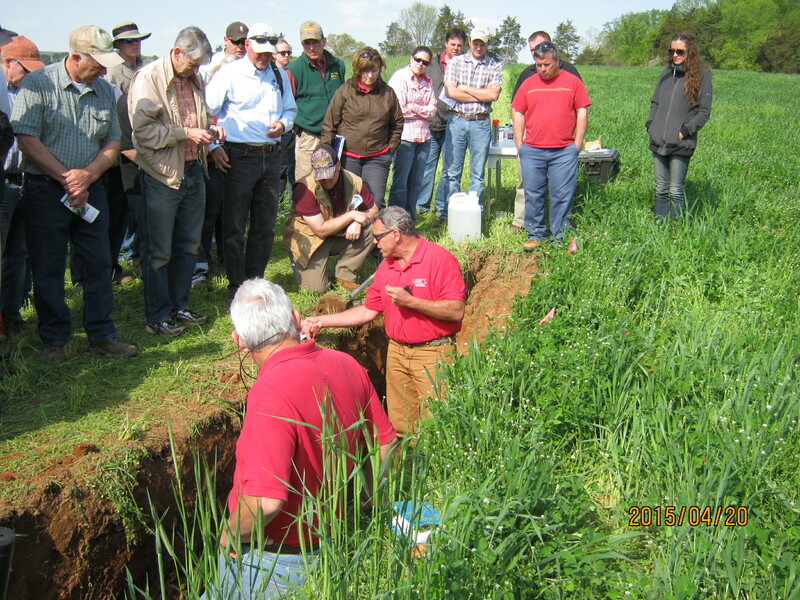 The star studded line up of speakers addressed a wide variety of topics….For the group I was in the day began with David Kriz, John Nicholson and Ray Archuletta discussing soil health and soil structure and the principles of soil health…with demonstrations and a soil pit where they displayed soil layers and root penetration among other things. 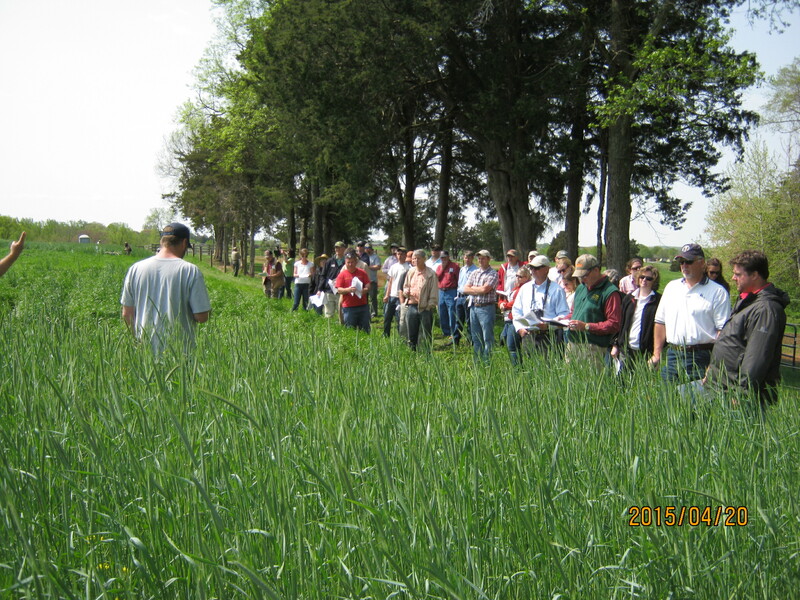 From There my group went to J.B. Daniel who took us on a tour of nine acres which was planted in five different blends of winter cover crops. 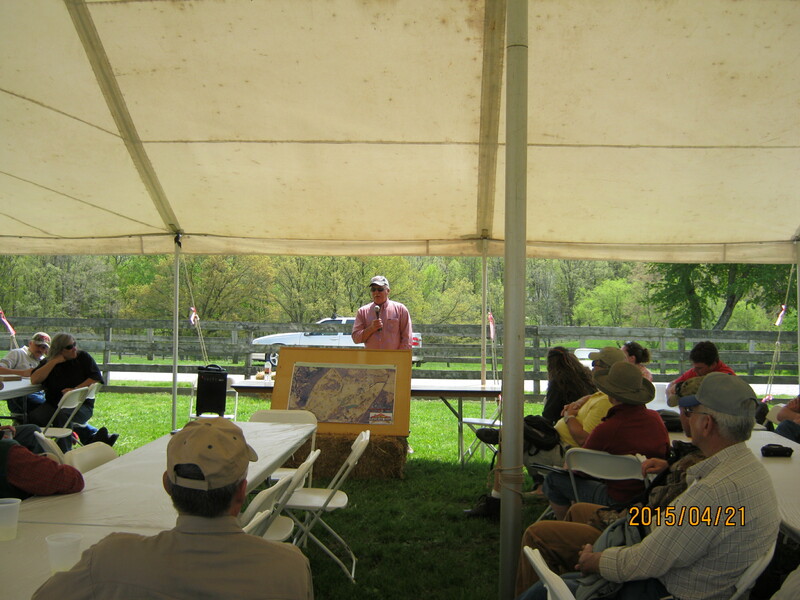 He explained the management and grazing history and handed out literature which documented biomass and nutrient quality of the various blends. He discussed the strengths and weaknesses of each blend and how crops selected should be influenced by planned use and purpose. 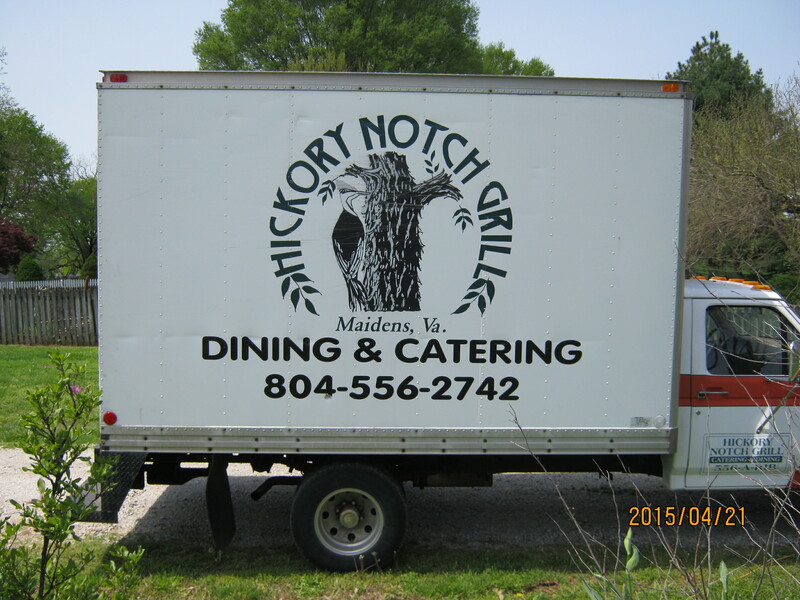 Then a great Barbecue Lunch catered by Hickory Notch Grill. 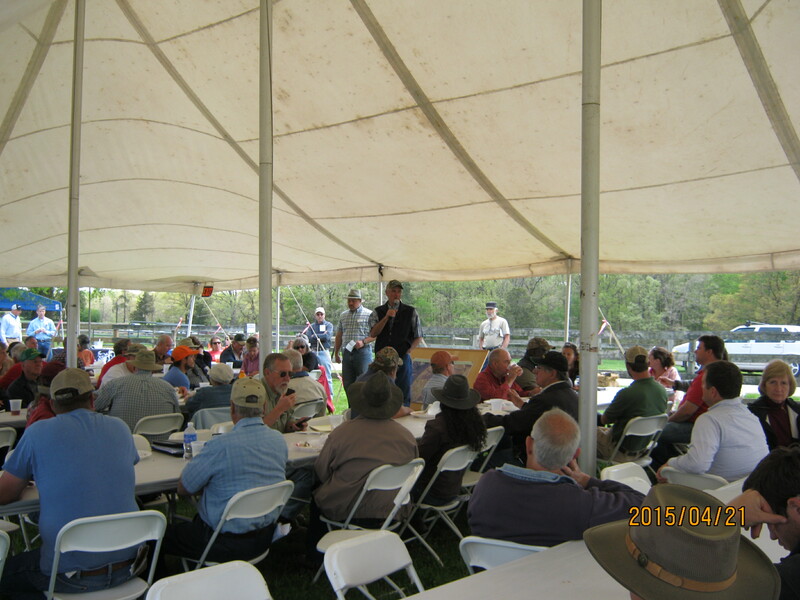 After lunch Jon Repair, President of the VFGC and Jack Bricker, State Conservationist with NRCS addressed the consolidated lunch crowd. 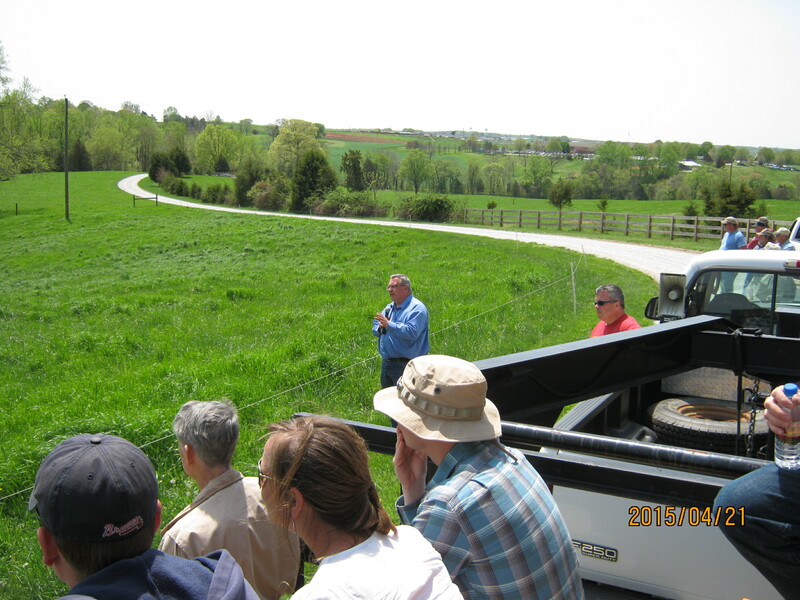 After Lunch my group loaded up on Trailers and went on a walking and riding tour of the farm which was led by the Farm Owner, Ronnie Nuckols, Dr. Chris Teutsch, forage agronomist from the Blackstone Research Station, and Keith Burgess of Monacan SWCD. 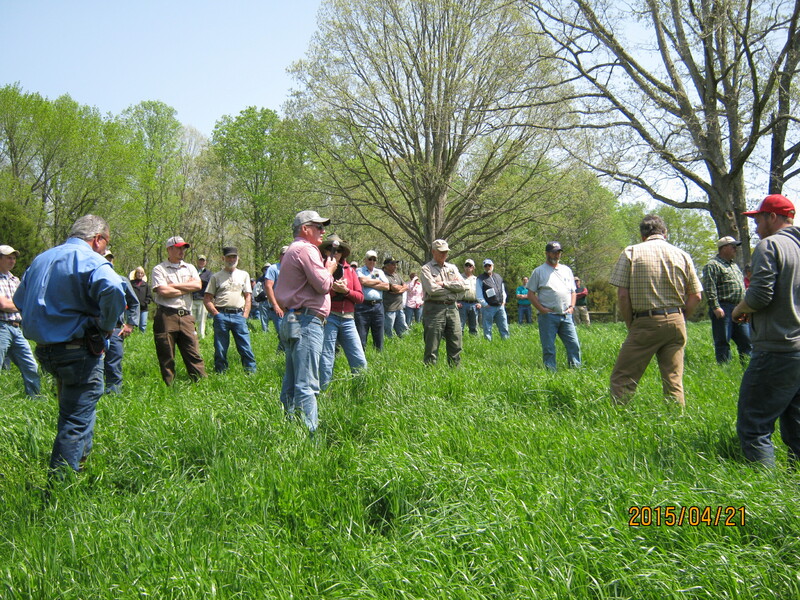 Mr. Nuckols explained his management and his goals and we looked and both successes and opportunities for improvement in his pasture and operations. At one stop he demonstrated moving a single polywire fence to move cattle from one paddock to another in his managed grazing system. At the next stop we were shown the fundamentals of the farm livestock watering system with a critique of the benefits and the changes planned for the future….All the live water features on the farm have livestock exclusion fencing and alternative livestock water facilities. Mr. Nuckols said, that at first he was stressed a bit about giving up the buffer area around the water but knew it was sound ecologically and needed. He determined that he needed to find ways to utilize the buffer so that it was not “lost”. He manages his buffer by creating a trail all the way around his property and he can now access any field from the outside pathway which can be travelled by ATV, tractor, Truck or on foot. In one place he had even created a playhouse for his grandchildren in the buffer near a beautiful creek that ran along a sloping pasture. This Piedmont located farm has some significant slopes to the fields and erosion is always a concern but is held in check by healthy and varied grass stands and managed grazing by small groups in small paddocks with frequent moves to allow the grass to rest and recover…. 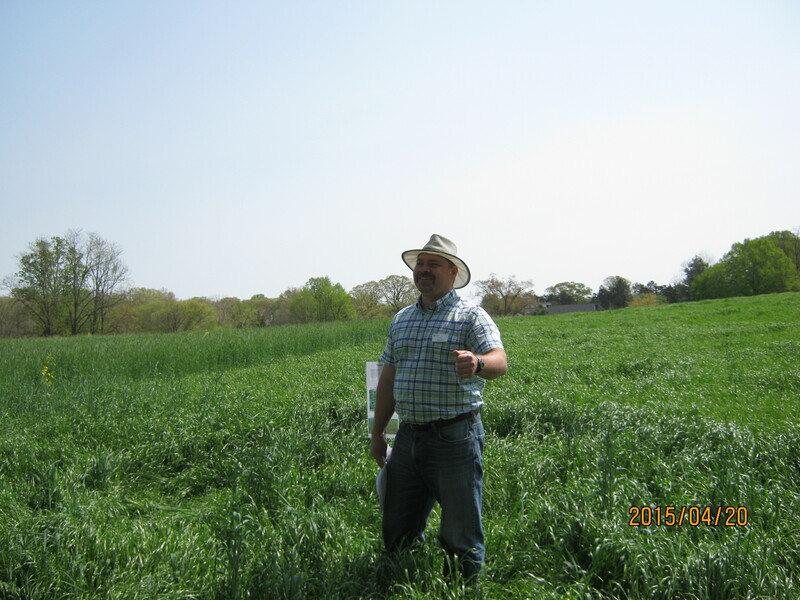 The next topic was the use of annual cover crops to augment grazing…. 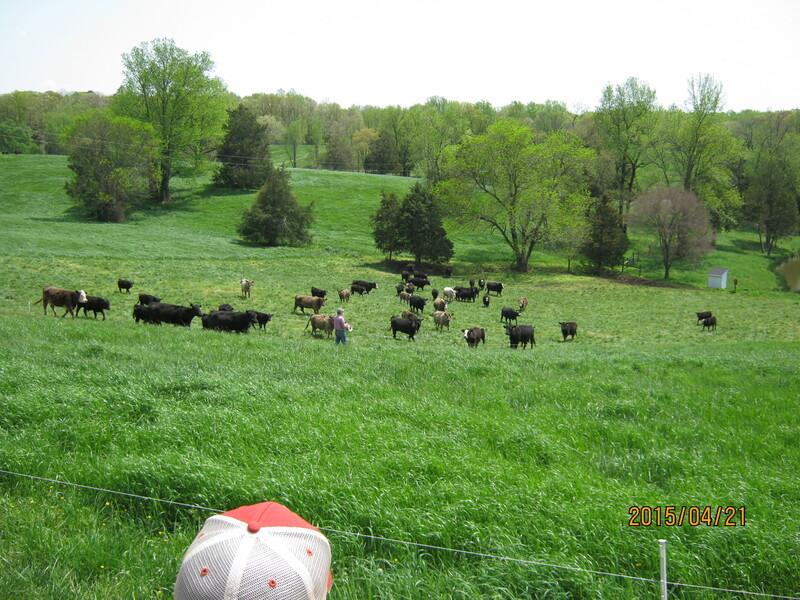 The farm had historically been a cattle grazing operation and was primarily a conventional fescue based operation. 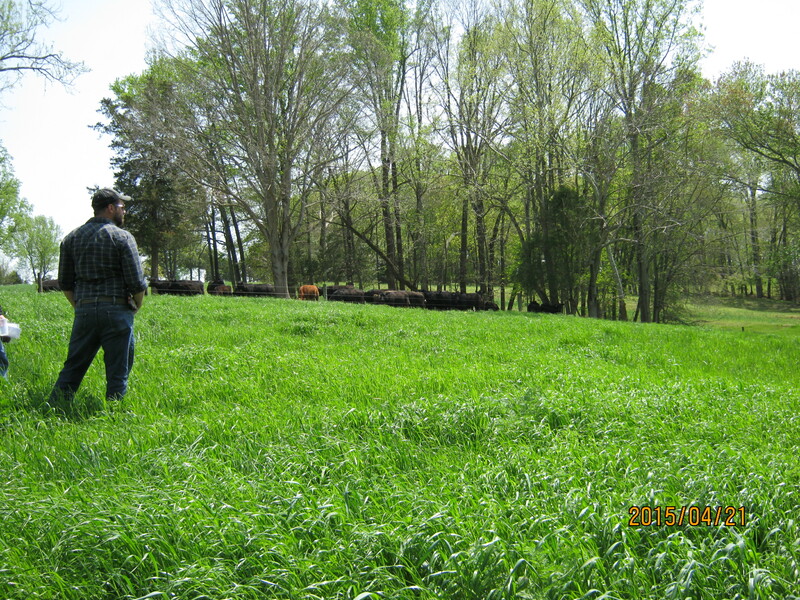 When Mr. Nuckols decided he wanted to make better management choices another change that he made was the incorporation of Annuals to augment grazing…. 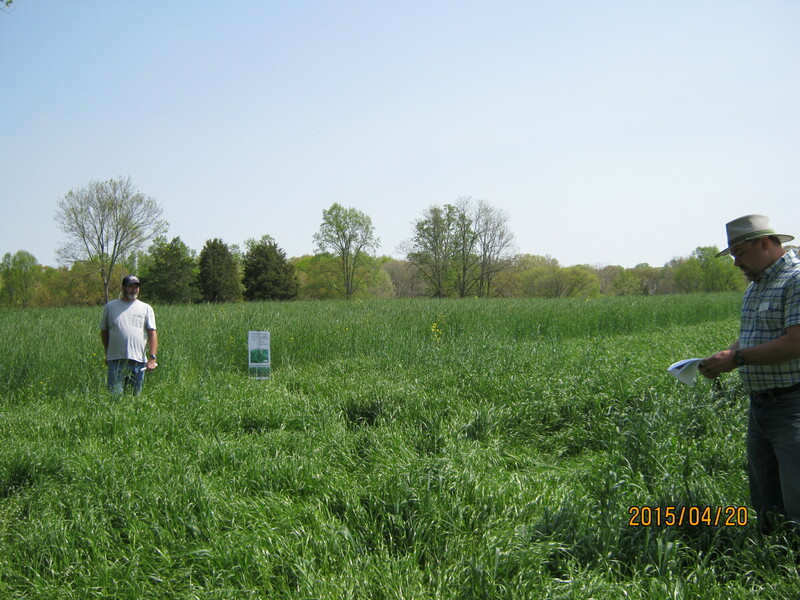 He routinely plants both summer annuals and cool season annuals as a part of his pasture rehabilitation. He took us to a field that had been a weaker Fescue pasture and he was planting annuals in it to build the soil and extend grazing by producing more biomass and controlling the grazing using temporary portable fences to intensively manage the rotational grazing. The field had been in summer annuals last summer and then was replanted to mixtures of Cool Season annuals in the fall and as we walked about and listened and questioned we were supervised by a group of cows in an adjoining paddock who were up to their bellies in a beautiful stand of mixed species cool season pasture…. 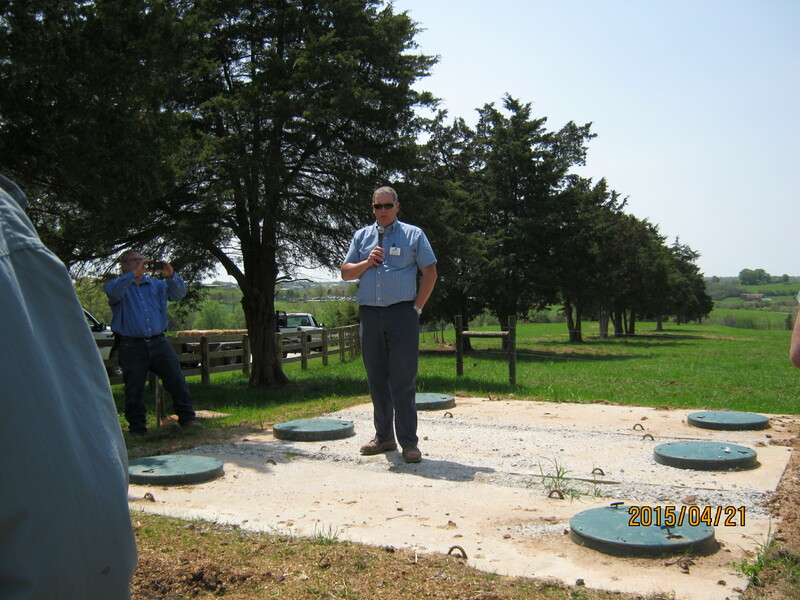 The next stop for my group was a demonstration by Chris Lawrence, Virginia Crop Land Agronomist for NRCS. Chris first did some basic evaluation demonstrations of soil health demonstrating the slake test and the infiltration test. With this background, Chris used the rainfall simulator to demonstrate over several scenarios, how management decisions effect environmental outcomes. Mr. Nuckols sets the stage for what we will see.